The mission of the Silicon Valley Council of Nonprofits is to strengthen, magnify, and unite the voice and influence of nonprofits. The Silicon Valley Council of Nonprofits (“SVCN”) represents over 200 nonprofit organizations in Santa Clara County, and champions the interests of nonprofits in Silicon Valley by ensuring the sector's voice is heard, and that policies and solutions are developed to support organizations and their communities. With a strong concentration on health and human service organizations, SVCN efforts focus on systems of influence, including social services, health care, mental health, outpatient programs, juvenile justice intervention, senior care, and more. Policy & Advocacy: Engage nonprofit leaders in policy and advocacy efforts that affect nonprofits and their systems of care. Partnership: Convene nonprofit, philanthropy, community, business, and government groups to collaborate on issues impacting the nonprofit sector and the communities they serve. SVCN is governed by a current 12-member Board of Directors which provides overall strategic director and oversight of the organization. A Leadership Team represents the members and advises the CEO. Four fulltime staff members and one part-time consultant report directly to the CEO: Senior Policy Director, Director of Training, Director of Marketing and Communications, Office Manager; and Special Projects. The annual operating budget is nearly $1 million, including in-kind contributions and cash of $850K. SVCN has diverse funding streams via membership, events, fees for service, as well as foundation and government funding. SVCN’s organizational culture is described as open, honest, supportive and collegial. The team functions with strong interpersonal connection, support, and communication. For additional information on SVCN, please see www.SVCN.org. Continued advocacy for the role and value of nonprofit organizations in the community is a core value proposition for SVCN's business model and must proceed under the new CEO's leadership. This executive will bring and effectively deploy a high level of political savvy to build and strengthen relationships with elected and appointed policy makers, administrative officials, and philanthropic leaders, educating and illuminating the nonprofit sector’s value in partnerships and delivery of services to constituents and community members. The ideal candidate will have a clear understanding of the Santa Clara County landscape -- politically, economically, socially -- and the needs of the nonprofit and overall communities in the County, Silicon Valley, and the Bay Area. S/he must be a strategic, thoughtful change agent and relationship builder; and have a track record of positioning an organization to meet the evolving needs of its members and stakeholders. Lead the organization, in collaboration with the Board and staff, in developing and articulating a clear and compelling vision for SVCN; this includes collaborative work to define the organization’s role, work, and future direction in a way that is practical, offers solutions, and addresses the values, needs, and aspirations of the nonprofit sector and overall community. Improve Board governance, including creating and establishing productive dynamics with standing committees of the Board, and putting in place best governance practices with intentionality and follow-through. Develop a strategic plan that articulates the next steps for SVCN and defines the organizational priorities, direction, and structure to achieve its mission and objectives. Ensure that the organization can deliver impact on its values at the highest level. 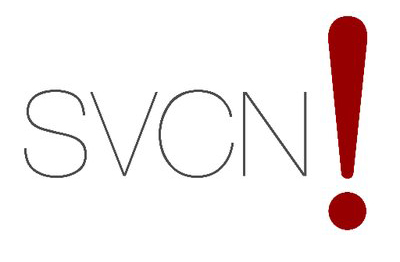 Serve as the primary spokesperson for SVCN. Speak to the most critical problems and opportunities affecting underserved communities and the nonprofit sector in a way that is compelling and impactful. Build SVCN’s brand, image, and reputation locally and regionally. Serve on various government, philanthropic and community policy and stakeholder groups to represent the nonprofit sector. Build partnerships and communicate with key community groups such as government, labor, business, and technology. Identify strategic opportunities to advance SVCN’s agenda. Build and manage relationships with elected officials and City and County agencies, the broader nonprofit community, business and community leaders, members, and funders. Expand SVCN’s influence and community of stakeholders locally and regionally. Help members and the nonprofit sector understand and navigate the shifting social, political, and economic landscape, and determine the most appropriate course of action. Build strategic alliances and partnerships with like-minded organizations and a broad array of stakeholders to overcome challenges and advance shared policy change agendas. Engage philanthropic leadership in supporting the priorities of underserved communities and the nonprofit sector. Convene nonprofit community members, and nonmembers, to build a policy agenda. Empower leadership in nonprofits to be stable and change-ready enough to participate in the advocacy efforts. Influence organizations to think differently about how to approach their work by using collective power to affect change on behalf of the communities they serve. Support nonprofits in their work to advance race equity and break down system barriers in the sector by working to support leaders, organizations, and communities of color regarding issues like power and fundraising. Strengthen SVCN’s fundraising capability by diversifying and growing SVCN’s revenue channels. Design and achieve a sustainable revenue model. Cultivate relationships and secure financial support from government agencies, foundations, and businesses. Develop a more robust and thorough operational and business planning process, and ensure and enhance policies, methods, and procedures for improved internal operations.  Provide professional development, training, and mentoring to staff, to enhance their skills, abilities, performance, and improve retention. Education: A Bachelor’s degree is preferred, or equivalent relevant work experience. Minimum 10 years of experience serving in senior leadership positions in a nonprofit organization or government agency. Possess an orientation to SVCN’s mission with high integrity to serve a broad-based community. A practical understanding of policy development and advocacy, with a macro perspective on the issues. Ability to lead an organization through its next phase of evolution, including the ability to navigate the complex and dynamic landscape of the nonprofit sector and stay abreast of and communicate policy issues, build coalitions, advocate on behalf of members, and affect systemic change. Proven ability to effectively influence, express the appropriate level of assertiveness and empathy. Demonstrated success in building strong relationships and effective collaborations with nonprofits, community leaders and members, policymakers, public agencies, businesses, Board, and staff. Strong management skills, able to develop, mentor, and retain high performing staff. Proven fundraising abilities including cultivating, soliciting and stewarding institutional funders and corporate supporters. Financial acumen and an understanding of nonprofit fiscal management. Respectful of SVCN’s fundamentals that contribute to successful partnerships, programs, and outcomes and future success. A track record of inspiring, mentoring, developing and retaining staff and volunteers or service learning interns.